To provide a variety of ski-related and other activities for members year-round. Members of the Club are bound by a code of conduct that exhibits good sportsmanship and etiquette. Club leaders and members display values that will have a positive impact on the Club and community we live in. ⦁ Always stay in control. Be able to stop or avoid other people or objects. ⦁ People ahead of you have the right-of-way. It is your responsibility to avoid them. ⦁ Do not stop where you obstruct a trail or are not visible from above. ⦁ Before starting downhill or merging onto a trail, look uphill and yield to others. ⦁ If you are involved in or witness a collision or accident, you must remain at the scene and identify yourself to the Ski Patrol. ⦁ Always use proper devices to help prevent runaway equipment. ⦁ Observe and obey all posted signs and warnings. ⦁ Keep off closed trails and out of closed areas. ⦁ You must not use lifts or terrain if your ability is impaired through use of alcohol or drugs. ⦁ You must have sufficient physical dexterity, ability and knowledge to safely load, ride and unload lifts. If in doubt, ask the lift attendant. 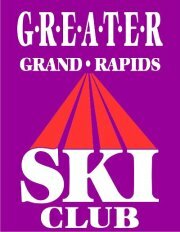 The name of the organization shall be the Greater Grand Rapids Ski Club. The purpose of this club is to encourage and foster friendships and social interaction through the active participation in year-round activities. The fiscal year of the club shall be July 1 through June 30. Membership in this club shall be open to all individuals age eighteen or older. However, no individual shall be admitted as a member unless a valid application for membership and a waiver of liability have been completed. ● Membership shall be for one year beginning November 1 upon receipt of annual dues. Membership may be revoked or suspended by a vote of three quarters of the governing board. ● Membership is by individual only. There are no couple or family memberships. ● Dues shall be set by the Board on an annual basis in an amount necessary to meet the fiscal needs of this organization. The amount of the annual dues shall be determined on or before the start of the fiscal year and are nonrefundable. ● Dues adjustments must be approved by at least 75% of voting Governing Board members. actions will be published in a regular newsletter following the annual meeting. President. The office of the President shall be voted upon during the annual election. No member shall be elected to the office for more than three years consecutively. One year’s experience working on the Board, preferably as Vice President, is required to be a candidate for President. Vice President. The office of Vice President shall be voted upon during the annual election. No member shall be elected to this office for more than three years consecutively. Secretary. The office of Secretary shall be voted upon during the annual election. Members At Large. All Members At Large shall be elected to the Governing Board during the annual election. Trip Directors. The Governing Board shall appoint two trip directors by April 1st. Trip Directors will be voting members of the Board. No member shall be appointed as Trip Director for more than four years consecutively. ⦁ Out of State Trip Director – Responsible for all trips out of Michigan, including western states and Europe, with the exception of trips to locations in Canada and the states that do not involve air travel. ⦁ Michigan Trip Director – Responsible for bus trips, other trips to Michigan locations, and trips to locations in Canada and nearby states that do not involve air travel. Assistant Trip Director(s) will be appointed as needed for the fiscal year. Assistant Trip Directors will not be voting members of the Board. Chief Financial Officer (CFO). The CFO is appointed by the Governing Board in March for a one year term starting July 1. No member shall be appointed to this office for more than three years consecutively. Treasurer. The Treasurer is appointed by the Governing Board in March for a one year term starting July 1. No member shall be appointed to this office for more than three years consecutively. Chairperson of the Board. The Chairperson is appointed by the Governing Board and must be a member of a previous Governing Board, preferably a past President. No member shall be appointed to this office for more than three years consecutively. The Board appoints the Chairperson of the Nominating Committee. Nominations. The Nominating Committee shall submit into nomination at least one name for each office and at least one name for each Members at Large before elections. The list of nominees shall be provided to the membership at least 10 days prior to a general membership meeting to be held before the end of April. At this meeting, prior to elections, additional nominations from the floor are encouraged. Elections. Ballots for nominees submitted by the nominating committee and any added at the general membership meeting shall sent to members electronically as soon after the meeting as practical. Results will be tabulated two weeks after mailing. Names of those elected will be published in the first subsequent newsletter. A meeting of the Governing Board should be held as soon as possible after the election, however, actual assumption of office shall not be until July 1. Voting. Voting shall be done by members only with each member entitled to one vote. ⦁ Presides at all meetings of the general membership and of the Board. ⦁ Approves all appointments of committee chairpersons except the nominating committee chair. ⦁ Oversees and assists the chairs of all operating committees. ⦁ Takes minutes of all Board meetings. ⦁ Reports minutes of previous meetings. ⦁ Is the official custodian of the records of this organization. The club’s Financial Policy outlines responsibilities for the Chief Financial Officer (CFO) in detail. ⦁ Responsible for the establishment and operation of effective internal accounting controls so as to safeguard the assets of the club. ⦁ Maintains accounting and financial records plus develops systems to effectively and accurately record the financial transactions of the organization in accordance with the annual audit recommendations and with direction of the Board. ⦁ Provides the Board of Directors with financial reports as necessary. ⦁ Insures club policies and financial controls are implemented appropriately. The club’s Financial Policy outlines responsibilities for the club Treasurer in detail. ⦁ Responsible for care and custody of all monies belonging to the club and any other assets of the club. ⦁ Advises on matters of history, planning and policy. ⦁ Provides a schedule of trips to the Board for approval in time for the September newsletter. ⦁ Directs and supervises trip leaders, monitors trip applications and administers trip contracts. ⦁ Secure competitive bids for all overnight trips proposed. ⦁ Comply with and enforces the Club’s trip policies and procedures. ⦁ Make recommendations to the Board for appointment of assistant trip director(s). Monthly meetings of the Governing Board are open to all members of the Club. For Board meeting times and locations refer to the Club newsletter or contact any member of the Board. A quorum at a Board meeting shall consist of at least 51% of the voting Governing Board. Normal voting shall require a 51% majority of those present unless otherwise indicated in these bylaws. Written notice must be sent to each member of the Governing Board at least seven days prior to a special meeting of the governing Board. Written notice and/or the seven-day requirement may be waived by mutual consent of 75% of the Board. President: If the office is vacant, the Vice President shall assume the duties and responsibilities of the President for the remainder of the term. Chief Financial Officer: The President shall appoint a new CFO with the concurrence of the Board (2/3 majority required). Treasurer: The President shall appoint a new Treasurer with the concurrence of the Board (2/3 majority required). Members at Large: When a position as a Member At Large is vacated, the Governing Board shall have the power to fill said vacancies by appointment, subject to the usual 2/3 majority requirement. Removal for non-attendance: A member of the Governing Board that misses three consecutive meetings may be removed, subject to the discretion of the Board. Amendments to these by-laws may be made by a vote of 2/3 of the voting members of the Board. Written notice of such a vote must be submitted to the Members of the Board at least 10 days before the vote is to take place. Amendments will be published in the first newsletter following their adoption by the board. Such amendments are subject to removal or change by the General Membership as follows: The General Membership may change a bylaw which has been adopted by the Board of Directors, or adopt a new bylaw, by presenting a motion and securing approval at a General Membership Meeting, subject to the conditions in Article V.
* A breach of the director's or officer's duty of loyalty to the corporation or its members. * Acts or omissions not in good faith or that involve intentional misconduct or a knowing violation of law. * A violation of section 55191. * A transaction from which the director or officer derived an improper personal benefit. * An act or omission occurring before the effective date of the provision granting limited liability. * An act or omission that is grossly negligent. * The volunteer was acting or reasonably believed he or she was acting within the scope of his or her authority. * The volunteer was acting in good faith. * The volunteer's conduct did not amount to gross negligence or willful and wanton misconduct. * The volunteer's conduct was not an intentional tort. * The volunteer's conduct was not a tort arising out of the ownership, maintenance, or use of a motor vehicle for which tort liability may be imposed as provided in section 3135 of the insurance code of 1956, Act No. 218 of the public Acts of 1956, being section 500.3135 of the Michigan Compiled Laws. The corporation shall indemnify any Director or Officer of the corporation who was or is a party or is threatened to be made a party to any threatened, pending, or completed action, suit, or proceeding by reason of the fact that he or she is or was a Director or Officer, or is or was serving at the request of the corporation in another capacity, to the fullest extent permitted by the Michigan Nonprofit Corporation Act, but subject to any limitations provided in the corporation's bylaws. The Corporation may purchase and maintain insurance on behalf of any person who is or was a trustee, officer, employee, or agent of the Corporation against any liability asserted against him or her and incurred by him or her in that capacity, or arising out of his or her status in that capacity, whether or not the Corporation would have the power to indemnify him or her against liability under the provisions of this Article or the Michigan Non Profit Corporation Law, but subject to any limitations provided in the Corporation’s bylaws.